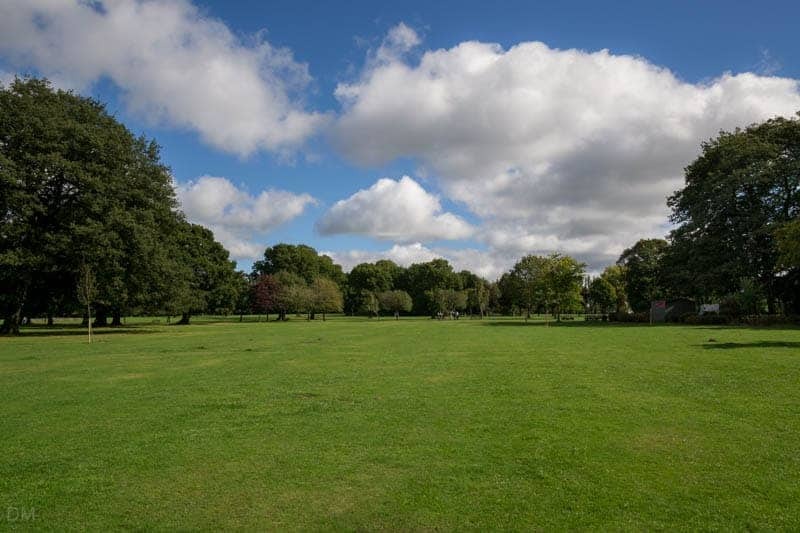 Worden Park is a brilliant park in Leyland, a small town around five miles south of Preston. 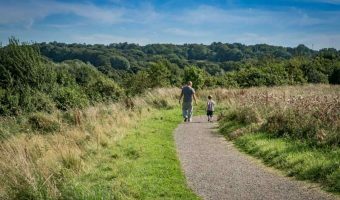 It offers a wealth of fantastic attractions for both children and adults. Worden Hall, home for centuries to the Farington family, was devastated by fire in 1941. Following the disaster, the estate and hall were purchased by the local council. A decade later it opened as a public park. Only one wing of Worden Hall survived the fire. Together with several outbuildings, it now houses the Worden Arts and Crafts Centre. 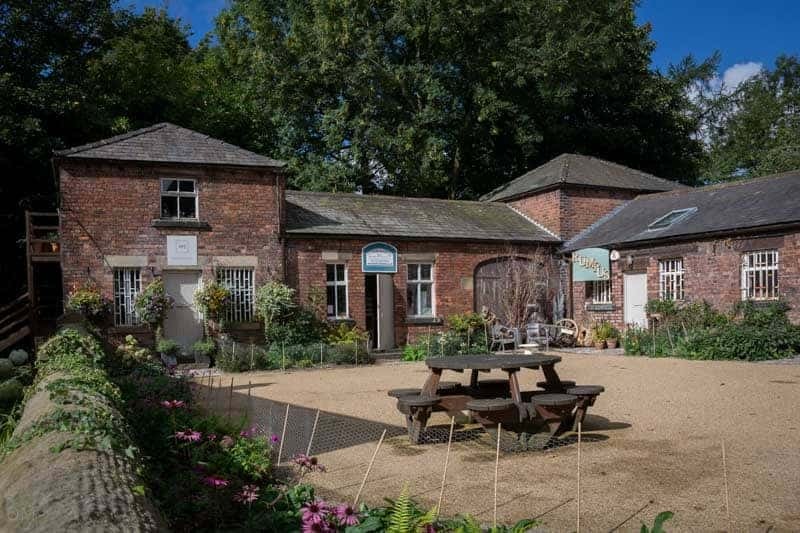 Artists and businesses based here at the time of our last visit (September 2015) include the Worden Workshop (handcrafted garden furniture), Leyland Stained Glass (bespoke stained glass and leaded light windows and doors), Bartleyart (art studio of Tony Bartley), Peter Doyle (bookbinding and book restoration), Rumpus (unique gifts), The Folly Coffee House and Deli, and Red Frog Studio Photography. Worden Park Maze is just west of Worden Arts and Crafts Centre. The hedge maze is planted with hornbeam and is believed to date back to the mid-nineteenth century. It’s free to explore. The Walled Garden lies next to the maze and is another fabulous attraction. 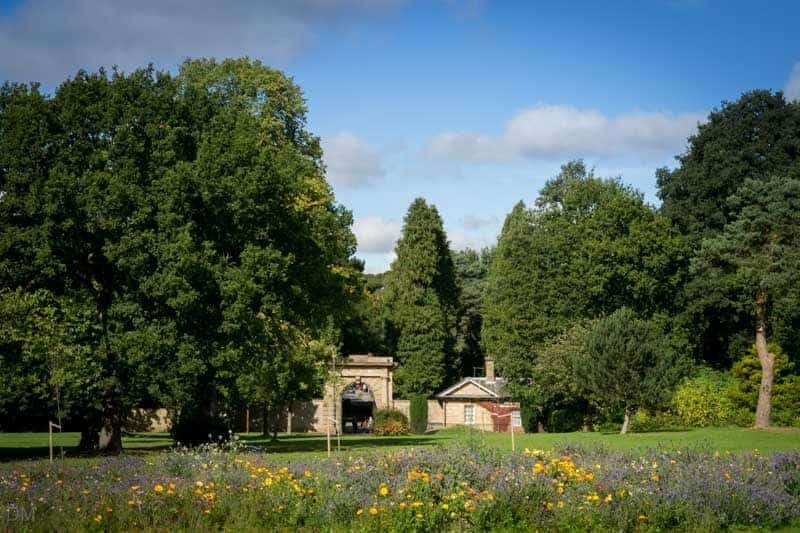 It was built in the late eighteenth century as a kitchen garden for the Farington family. 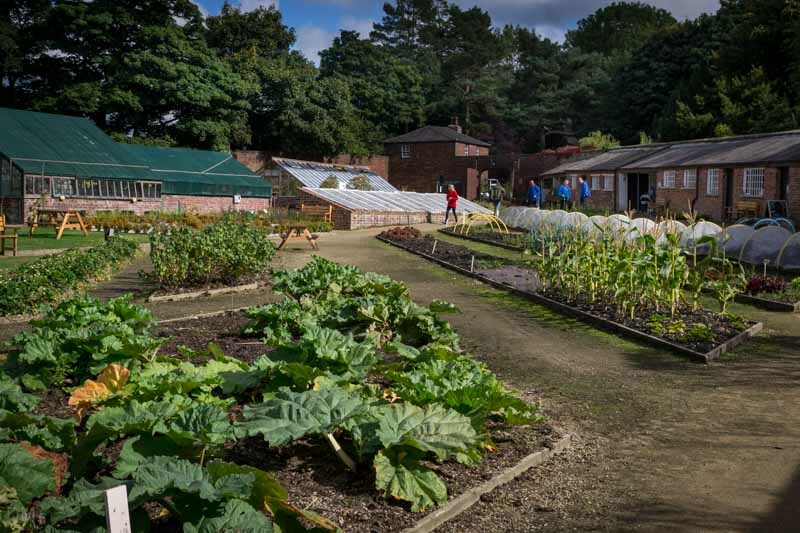 In 2012 the Brothers of Charity Services, a support organisation for people with learning difficulties, began to transform the Walled Garden into an attraction for all to enjoy. Today it is planted with fruit and vegetables and offers opportunities for the community to learn about horticulture. All of the produce grown here can be purchased. The potting sheds now house a number of animals such as tortoises, rabbits, guinea pigs, and chipmunks. 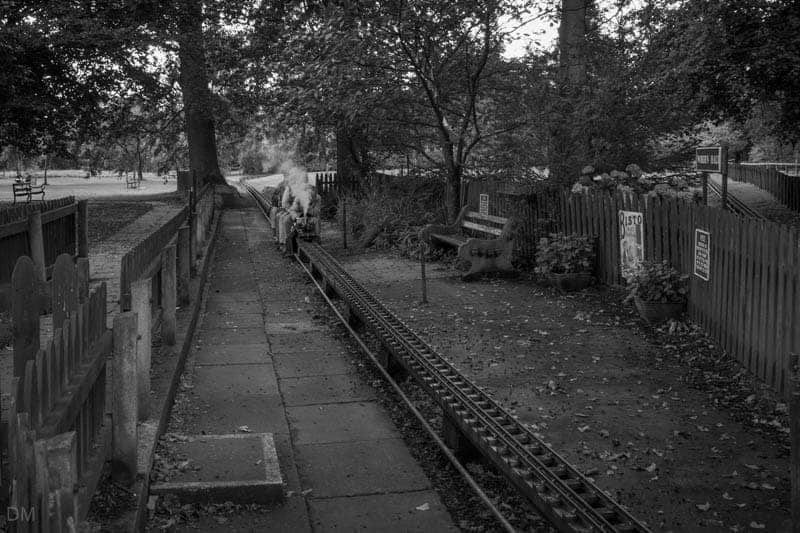 Worden Park Miniature Railway is a huge draw. Operated by the Leyland Society of Model Engineers (LSME) it features two extensive tracks; one raised and one at ground level. The LSME offers train rides to the public on Sundays, bank holidays, and Tuesdays in the school holidays. The rides are free but donations towards running costs are appreciated. 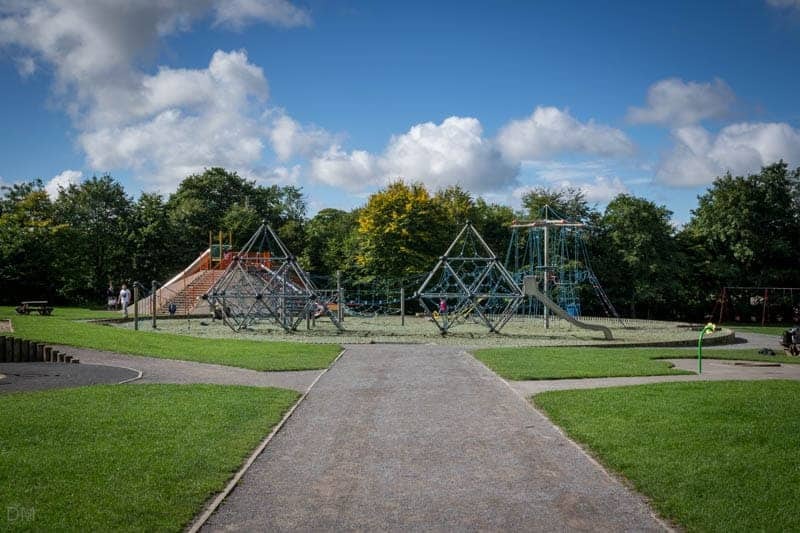 The park boasts a decent playground with equipment for children of all ages. The centrepiece is an adventure playground with larges slides, rope bridges, and climbing frames. The play area is enclosed and is at the northern end of the park, close to the North Lodge entrance. Football pitches and open fields occupy the centre of the park. The fields are very popular with dog walkers. The main car park even offers a dog washing area. Other attractions and facilities at the park include formal gardens, a crazy golf course, a duck pond, woods, and toilets. 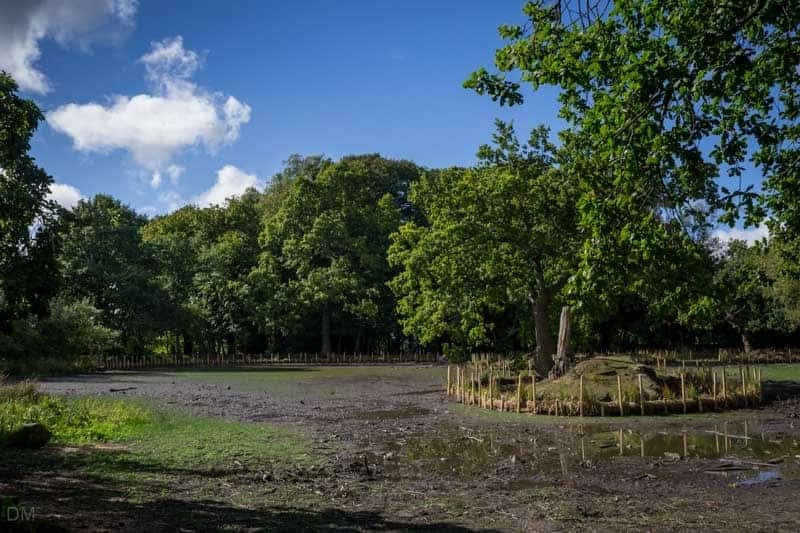 The duck pond was pretty much dried up when we visited, although we understand there are plans in place to refill it. 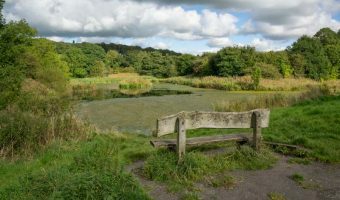 Worden Park is situated on Worden Lane, just south of Leyland town centre. The main car park is situated close to the junction with Langdale Road and Runshaw College. Owners of satellite navigation systems can use the postcode PR25 1DJ to find it. Parking is free but limited to three hours on weekdays. The car park closes at dusk (the exact time is listed on the car park noticeboard). There’s another car park adjacent to Worden Hall. However this is reserved for disabled badge holders and permit holders. 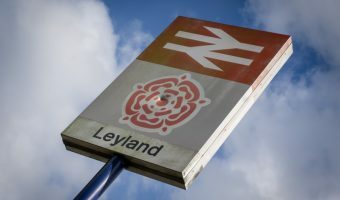 The nearest train station is Leyland. It is approximately one mile from the park’s North Lodge entrance. 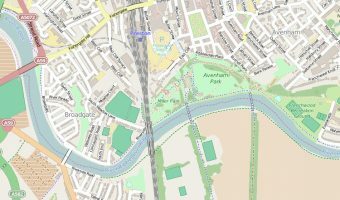 Map showing location of Worden Park. Train station serving Leyland. View train times and station facilities. 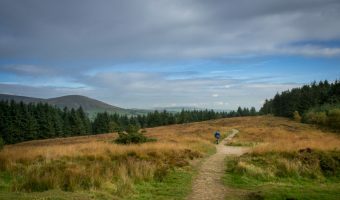 Country park in the Forest of Bowland.